Luxury 2 Bed, 3 Bath + Den/Office Unit. Amazing Panoramic Views Of The Beautiful Angus Glen Pga Golf Course. 9' Ceilings W/ Coffered Ceilings, Hardwood Floors. Highend Finishes Throughout, Luxury Built-In Kitchen Appliances, Granite Countertops. Amenities Include 24Hr Concierge, Outdoor Pool, Gym, Yoga Rm, Sauna, Whirlpool, Party Rm, Guest Suite. Walk To Community Ctr; Close To Hwy 404/407, Historic Mainstreet Unionville & Vibrant Downtown Markham. Want to learn more about 505-9 Stollery Pond Cres (Warden & Major Mackenzie)? I would like to learn more about 505-9 Stollery Pond Cres (Warden & Major Mackenzie). Working with Cleona was very easy and truly a great experience. She is really smart and was very helpful in answering all our real estate queries. She easily understood our requirements and the kind of home we were looking for. In a span of three weeks she showed us a lot of houses which were all very good and to our liking and we finally bought the best house which we can call home. One thing I would mention is she wants her clients to buy the house that they truly like and is not at all in a rush to complete the task of selling you any house. I can say that, because if it weren't for her backing us out from buying a house which me and my wife were not really interested in, we would have ended up buying a house which we didn't like and would have later on regretted about the decision we made. But Cleona helped us think straight and arrive at the right decision. As we decided to skip that house, we were able to find another house which we really fell in love with. 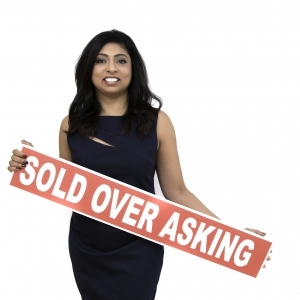 Also to mention how dedicated and motivated Cleona is to help people get their dream home! I would definitely work with her in all our future real estate dealings and would highly recommend her to anyone who needs a dedicated and smart real estate agent!